Oh Scrap, the Book Tour + Giveaway! When a friend creates a book that is so spectacular you want to make everything in it, and she asks you to be part of her book tour... you can't say 'yes' fast enough! Lissa Alexander is known a 'Moda Lissa'. She is the marketing director at Moda Fabrics and I've known Lissa since I started in the business back in 1998. She may not remember meeting me, but I remember meeting her! Over the years you've seen Lissa's creativity in the fun projects that Moda puts out into the world for us. 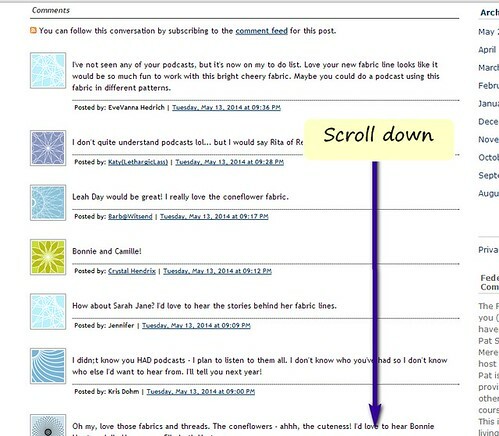 She does lots of behind the scenes work for the company to help the quilt shops share Moda fabrics with you. You see her writing at her website and Instagram. Lissa is not new to publishing. She has created many collaboration books called 'Moda All-Star' books where she pulls together the theme, works with the designers, selects a charity for the royalities and much more to make these books a success. Lissa also worked with Jane & I to get fabric to the quilters for The Splendid Sampler and we are so lucky that she also designed a block for our book! She is a prolific quilter. Seriously this woman can out quilt anyone.. if there is an Quilting category in the Olympics, I'm betting on Lissa to win gold! With all the work she has created for the magazines, for Moda fabrics lines, and the collaboration books, she still had ideas, crazy awesome ideas, enough ideas to fill her 'Oh Scrap' book! I asked Lissa a few questions about the book. 1- When you created your block for our Splendid Sampler book, you said you wanted to create a whole quilt with it. 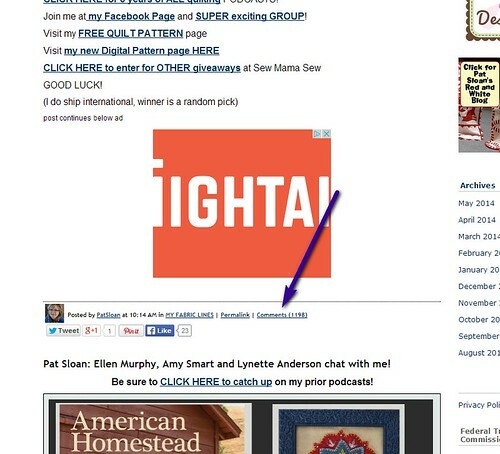 When did you start sewing your Splendid Scraps quilt, during our event or was it later? I was making the block in two different color ways so I had several strips cut and laid out on the design wall. Made the block color way assigned to me and sent off the block. The actual quilt was later and kind of by accident.. I had sewn several four patches together to play with color for my blocks they were pinned on my design wall. I had the additional color way block also hanging there. Little by little I made a few extra center blocks so I would be ready to share about my block when the Splendid Sampler book came out. Then I thought I would sew all the 6" blocks into a pillow or I could do this or Could do that, but I make quilts not all that other stuff so I just built off my center blocks much like you would work around the center of a log cabin. 2- When you designed Surround, it was first released in American Patchwork & Quilting and there was a huge sew along to make this quilt. I kicked myself over and over for not making my own. Since you had the opportunity to see so many versions, if you were to make a 2nd one, what colors would you use? OH I would make a Christmas version inspired by Haley of Happinessinthemaking (see it here) . There are so very many cool options that I have a pinterest board https://www.pinterest.com/modalissa/apqquiltalong/ that I can add to with color options made from Oh Scrap. 3- Your book is about using scraps, do you have any idea of the oldest piece of fabric in your collection? If you do, will you ever use it? I have purged, donated, pieced quilt backs, sewn charity quilt so I don't really have old pieces in my collection. Or what I would consider OLD. There was one of my favorite pieces from Sweetwater that I would use over and over. Once I got down to sewing my last little piece of it I took a pic and sent it to them to say please, please add this piece to one of your future collections. Since then I have found more of this I haven't bothered them. So yes I am a quilt designer stalker also. The oldest piece of fabric in the book is a piece in my Friendship Blues quilt. I had asked some of my quilty friends to send me a square of blue fabric. Maggi Honeyman sent me a wonderful blue fabric from the 1800's. Taking Lissa's Splendid Scraps block, I got out a bag of small pieces that I used when making my Splendid Sampler quilt. It was late one evening when I started this but I knew I just had to make a block. I went with All lights and pops of red for the chain. I can really see a whole quilt of this, I've never done a whole quilt this light! I really could not wait for that to happen to enjoy this and all the wonderful memories that those special fabrics have. As I cut each one I thought about the Splendid Sampler sew along and how much Lissa helped us in that project. So made one block into a pillow to enjoy! I think it looks fabulous with my Triangle quilt on the wall and strawberries on the couch! Lissa and I in front of the Splendid Sampler 100 block quilt! BUY 'Oh, Scrap!' you are going to love it! NOW I have a e-book of 'Oh,Scrap!' to giveaway! What type of Scrap quilter are you? Everything goes, or more controlled? or maybe you don't make scrap quilts at all! Leave a comment by the 8pm est of 3-26- 2018. Winner is Tanna who said "I love scrappy!! Love the name of the book!" Join my FUN Facebook Quilt Along Group! The Band.. I mean Book... Tour, i think we need t-shirts! I found out some of have never left me a note as you can't figure out how to leave a comment, so let me fix that by showing you! When you go to the COMMENTS page, it actually shows you what people have written. Now you have to scroll to the end to enter YOUR note. If you are on a phone or a tablet, sometimes they don't work, so switch devices. 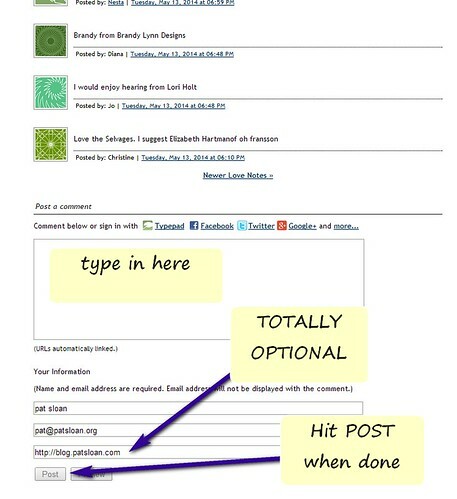 And there is a category called 'How to Comment' on the right sidebar incase you forget! Now leave me a comment here to try it out! Join my FREE 2015 Mystery Quilt! !